Why do many investors rely on approaches with CAR-T cells? Why could the ECJ decision on genome editing pose a real threat to organic farming? 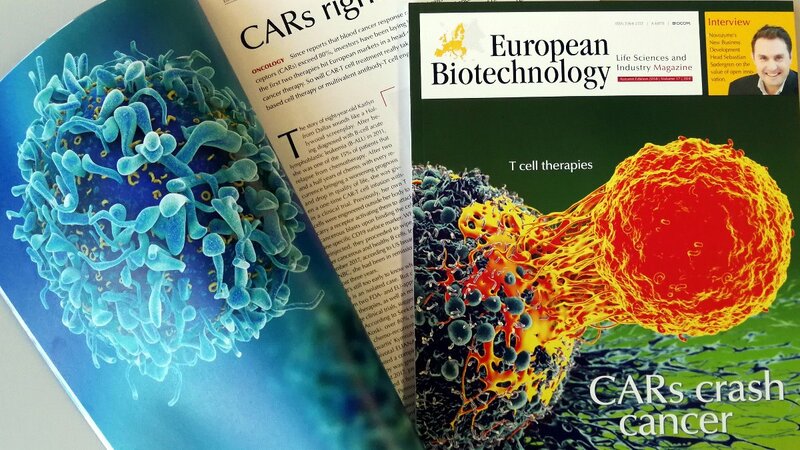 These are two of the topics readers will find in the newly printed autumn issue of European Biotechnology. Further reports deal with artificial photosynthesis as an energy source, DNA synthesis and the latest results of the capital market study. In an interview, Novozyme-VP Sebastian Søderberg explains why his company relies on external innovation. On the regional pages, the magazine contains news from Northern, Southern, Western, Eastern and Central Europe. Readers can inform themselves about current clinical studies or especially about new developments in pharmaceutical outsourcing.